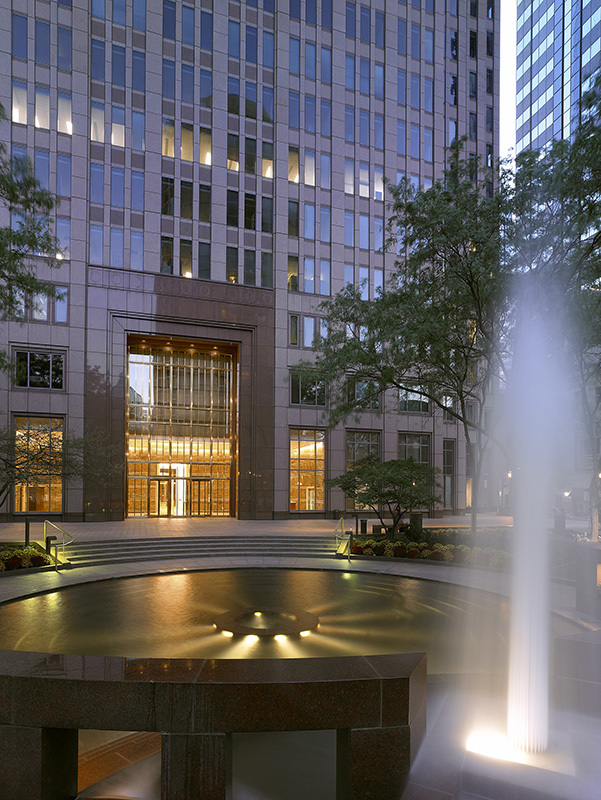 Three Logan Square, formerly known as The Bell Atlantic Tower, is one of Philadelphia’s true landmark skyscrapers. 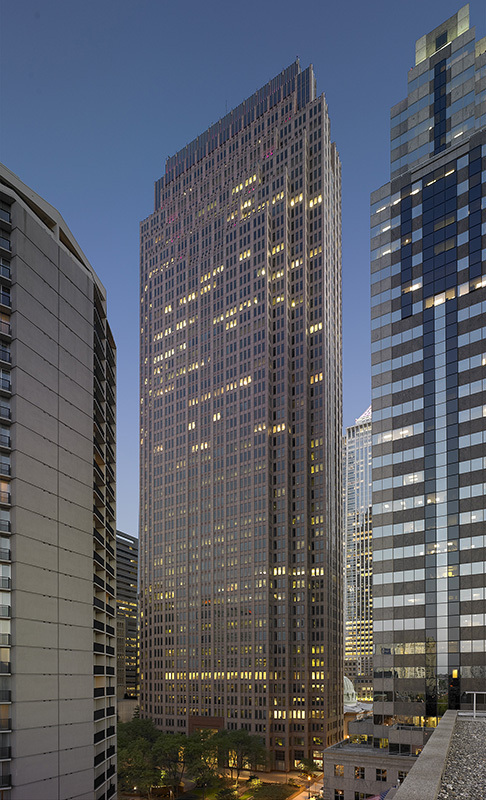 The 57-story red granite Trophy-office tower, located in the heart of Philadelphia’s Central Business District, boasts a significant skyline presence due in large part to its towering height and distinctive architectural flair. 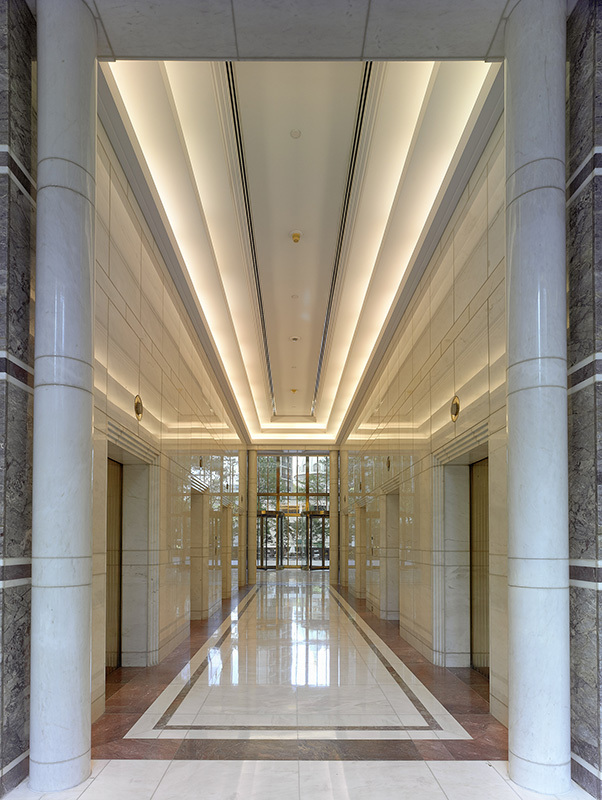 The ENERGY STAR-certified tower offers more than one million square feet of rentable space, overlooks the Benjamin Franklin Parkway and is home to such prestigious tenants as Comcast Corporation, Reed Smith, Marsh & McLennan Companies, and Janney Montgomery Scott. 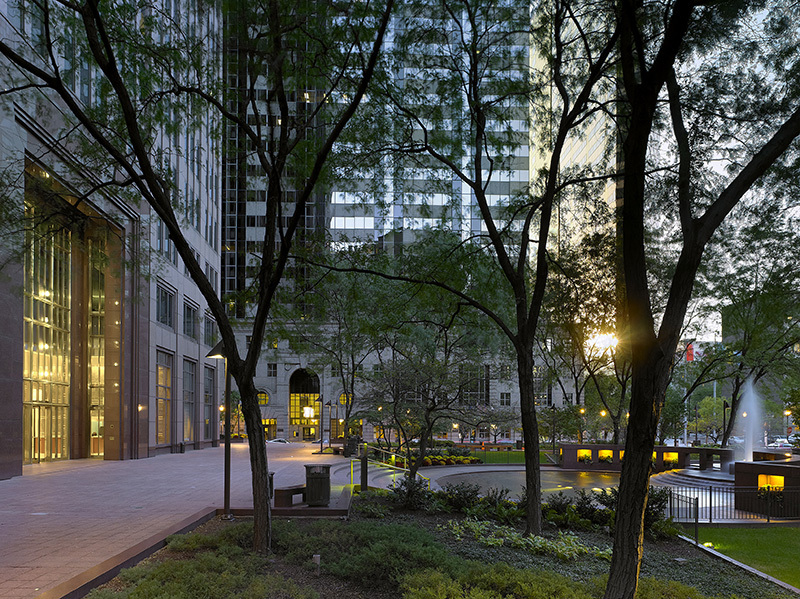 As part of Brandywine Realty Trust’s signature transit-oriented development at 18th & Arch Streets in Center City, Three Logan Square benefits from nearby multimodal transportation options such as SEPTA’s Suburban Station and nearby Indego (Philly Bike Share) stations. The many cultural charms of “America’s Most Artistic Mile” are within blocks of Three Logan Square’s doors: Sister Cities Park, the Barnes Foundation, the Philadelphia Museum of Art, the Franklin Institute, the Academy of Natural Sciences and more. 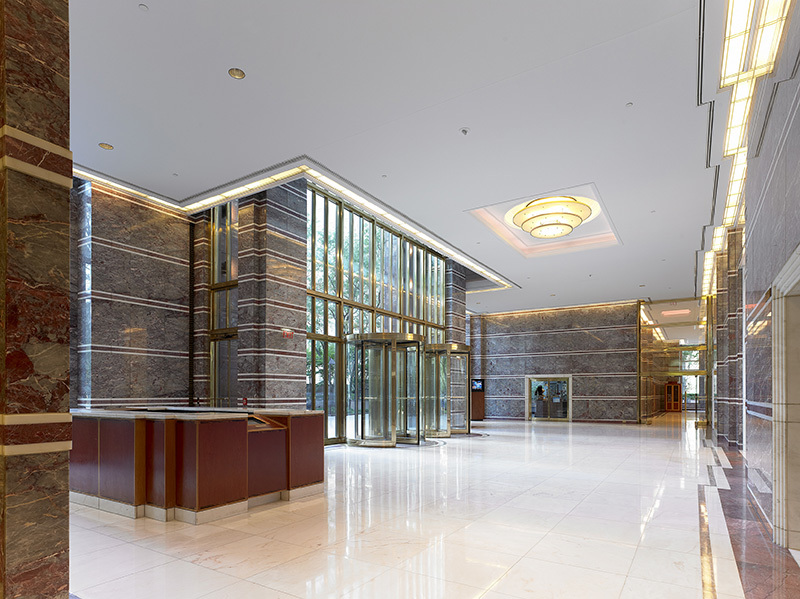 Exclusive tenant amenities include a green, landscaped urban oasis with water features, complimentary Wifi, a 310-space subterranean public car park, and a 7,000 square foot state-of-the-art, private access fitness facility on the 49th floor. Bell Lobby Shop, located in the lobby of Three Logan Square, offers snacks, beverages, newspapers, magazines and other sundry items. Three Logan Square has a mailroom located in the south lobby where U.S. Post Office mail can be dropped off, in addition to FedEx and UPS packages. Saxbys Coffee offers expertly roasted coffee products, all natural smoothies, hand-made sandwiches and made-to-order breakfast. Parking is available in the lower levels of Three Logan Square, with entrance located on Cherry Street, between 17th and 18th Streets. For rates, contact the garage manager at 215-567-0971 . 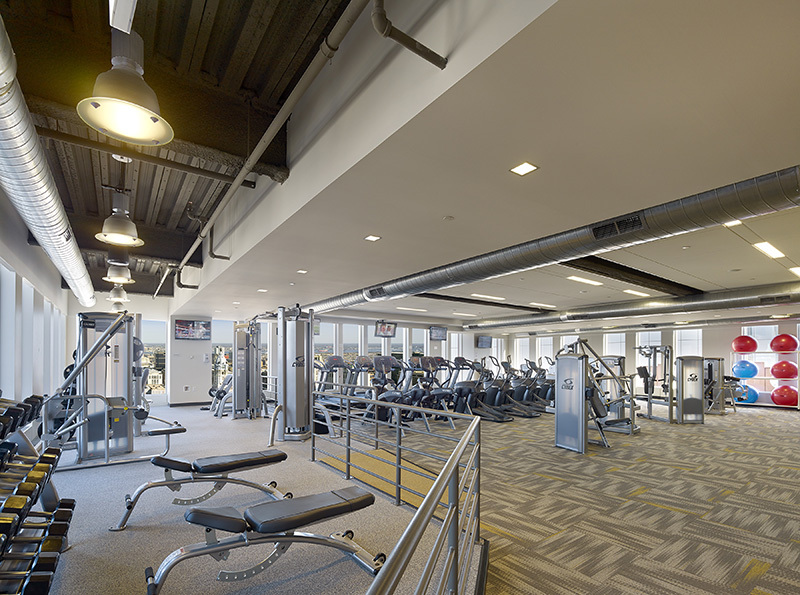 The Fitness Center is located on the 49th Floor of Three Logan Square. Membership is offered to tenants of One, Two and Three Logan Square. Call the main number 215-644-8678 for membership information. Vue on 50 located on the 50th floor of Three Logan Square accommodates corporate meetings, conferences and receptions.